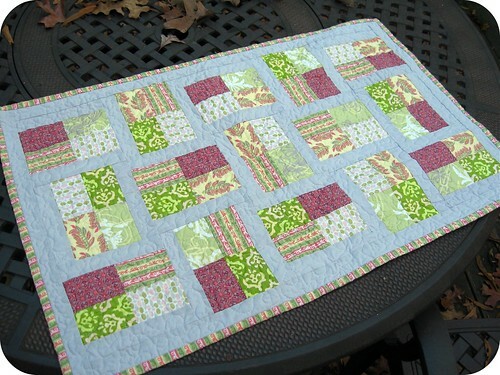 Quilt Dad: Giveaway with Pat Bravo & Art Gallery Fabrics! 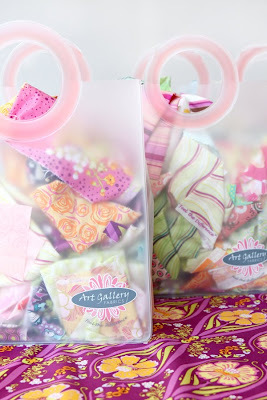 Giveaway with Pat Bravo & Art Gallery Fabrics! Hello & happy new year, everyone! I hope your 2011 is off to a great start. Speaking of great starts, I'd like to kick off the year here on the blog with a fantastic giveaway. Have you heard of Patricia Bravo? I've been a big fan of Pat and her company Art Gallery Fabrics for quite a while now. 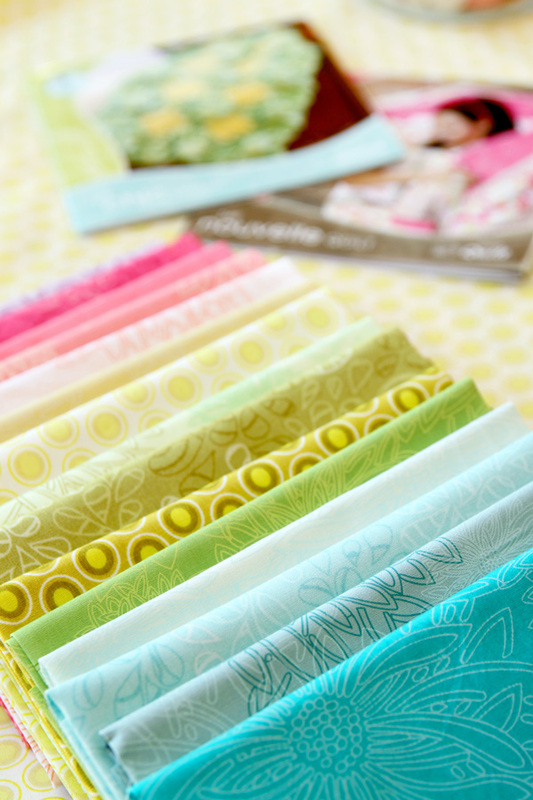 I first heard of Art Gallery fabrics when I picked up a few fat quarters of the Chic Blooms line at my local shop -- not for any specific reason, but because I was so taken by the beautiful designs that I just knew I had to work with them. Since then, I've been collecting bits and pieces of each of Pat's lines along the way. They are great pieces to have on hand, because they always bring a special little something to a project. Right now, I'm really crushing on the oranges and greys featured in the Modern Affair line -- I've got to get my hands on some of those! I'm also loving Pat's mini sewing patterns -- the Nouvelle quilt pattern (using a quilt-as-you-go technique) and the Chic throw pattern (with its fabulous twisted knot feature) are both really modern & unique. You can see all of these and more at http://patbravo.com/Where_to_buy.html. It's also where you can purchase Pat's goods online. When I attended my first Quilt Market in Minneapolis last Sring, I had the pleasure of meeting Pat, who is as lively and energetic as her designs! Her booth was one of my favorites, as was her follow-up in Houston. 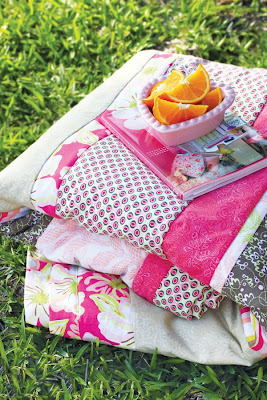 1st prize: A Nouvelle quilt pattern and a Chic throw pattern, and a fat quarter bundle of Art Gallery fabrics to get started! 2nd and 3rd prizes: A Nouvelle quilt pattern and a Chic throw pattern, plus one of Pat's signature scrap bags full of Art Gallery fabrics. Have you made something from any of Pat's fabrics or patterns? If so, I'd love to see them! Include a link in your comment below. And even if you haven't had a chance to work with any Art Gallery fabrics yet, leave a comment below to be entered into the giveaway. You know how I roll: one entry = one comment, and I'll let the Random Number Generator pick the winner. I'll leave the giveaway open through next Tuesday, 1/18. Big thanks to Pat! And best wishes you all of you as we begin 2011! love those colors, so pretty. What an awesome giveaway!!! Thanks for the chance, those fabrics are gorgeous! I haven't found any of Pat's fabrics yet here in the UK so I'd love to win some!!! Love those designs and colors also. Hope to be the winner. Oh my! What a wonderful giveaway. Please put my name in. Wow those are fantastic array of colors! Love them! Thanks for the chance! Oh yes please! I haven't had the opportunity to work with any of Pat's fabrics or patterns yet so this would be a GREAT start! A totally awesome giveaway - happy new year! Gorgeous fabrics! Thank you for the giveaway! Beautiful fabrics in gorgeous colours. I can't wait to make more out of Pat's wonderful fabric. Awesome giveaway! 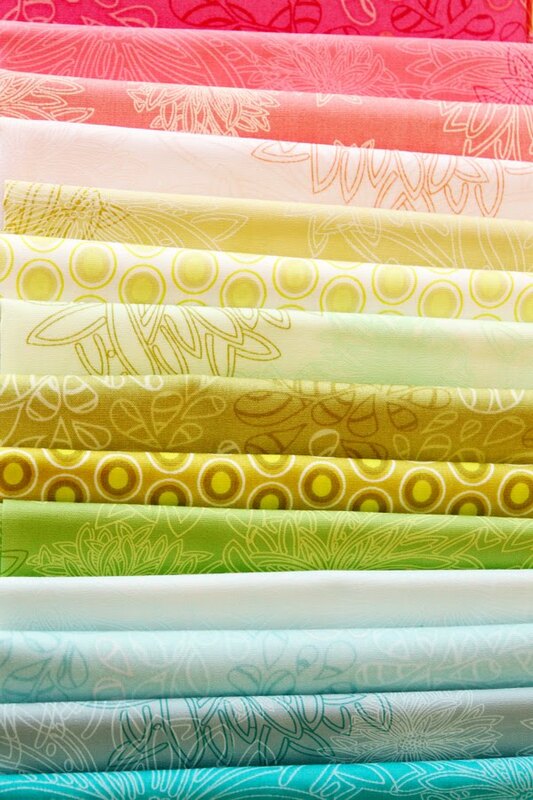 These fabrics are just beautiful! I hope I win!! I have worked with Pat's fabrics before. They really add something special to a project. Thanks for hosting this giveaway and for being such an inspiration! Such gorgeous colors! Thanks for a chance on this great giveaway. Ooh I'd love to give them a try they are lush! This giveaway is terrific! I want in! Those fabrics are so pretty! I've never heard of Pat, but thanks for the introduction! Her fabrics are so cheerful and her patterns are so unique! That twisted knot thingy has gotten me very curious! I think I'll go check out her stuff, and hope that this very generous package will be coming my way! Love that new line. I haven't sewn anything with her fabrics yet but maybe now is the time to start. What beautiful fabrics! Thanks for hosting this giveaway. I haven't used Pat's line yet, but it's lovely!! those look yummy! I'd love to play with them. thanks! I do like those colors, and the laid-back prints featured on her fabrics. Sign me up for the giveaway! I love these fabrics the colors are so pretty. those are gorgeous fabrics. thanks for the giveaway! I haven't worked with her fabrics yet but would LOVE to! THANKS for the chance! Such beautiful prints and colors! One of my goals for 2011 is to sew with more solids. These are just stunning! Thank you so much for the giveaway. I've just completed a quilt top in Pat's Dreaming in French range. I love her designs! What fantastic fabrics! I have not seen them before. Those are beautiful fabrics. Thank you for introducing me to some new must have fabrics! :) Thank you for hosting the giveaway and Thank you, Pat for being so generous! What a great giveaway and such gorgeous fabrics! I haven't seen them, but will be looking! Also, I love scrap bags, I just find them so much fun! I recently bought a few from etsy and was so excited with all of the little bits of fabric I received. Those are gorgeous! Thanks for hosting the giveaway. Gorgeous colors! I haven't worked with any of her fabrics yet but oh my gosh would I love to! Thanks for the giveaway! Please enter my name for a chance in your giveaway! Lovely fabrics! Those are beautiful fabrics, would love to work with them ! I'm very new to quilting and haven't yet discovered all the designers. I'd love the opportunity to use Pat's fabrics though, fingers crossed. Love the colors, I wouldn't ever be able to pick just one! I have purchased fabric from the Modern Affair line and am starting a new quilt with it this weekend. The colors & patterns are amazing. Wow! Those fabrics are amazing! 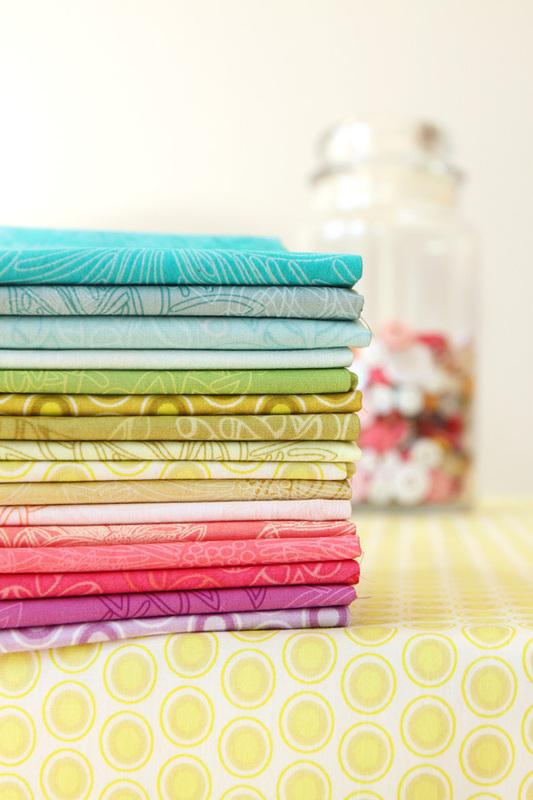 I randomly bought a couple of the fabrics in the FQ bundle becasue they are so lovely but haven't used them yet. Great fabrics and patterns. I'd love to try a quilt as you go pattern. Thanks for the giveaway. Have not used any but would enjoy trying them out. Colors are yummy! I haven't had a chance to work with Pat's fabric, I think her fabric is just beautiful. Beautiful fabrics!! I would love to work with them!! I agree with you that the designs are wonderful. I love the vivid colors that Pat uses too. I have been wanting to make my niece a graduation quilt this year, but have been stumped on colors, until I saw this bundle! Gorgeous!! Even if I don't win, I will have to hunt this down. I have a lovely blue yard of the new floral pattern. I haven't had the heart to break into it yet. . I want the project to be PERFECT. Oh what lovely giveways. So happy to be following some great blogs! i love how feminine pats fabric are...just what i need for my sisters! Oh my gosh, such a generous giveaway. I haven't used Pat's fabric before, but I sure would love to! Fingers crossed! Count me in for the giveaway! I love that green print in the quilt you made - it would be perfect for covering the glass in my bankers' chest! I haven't used any of her fabrics before, but I just checked out her site. I don't know how I missed these fabric lines. They're gorgeous. So pretty. 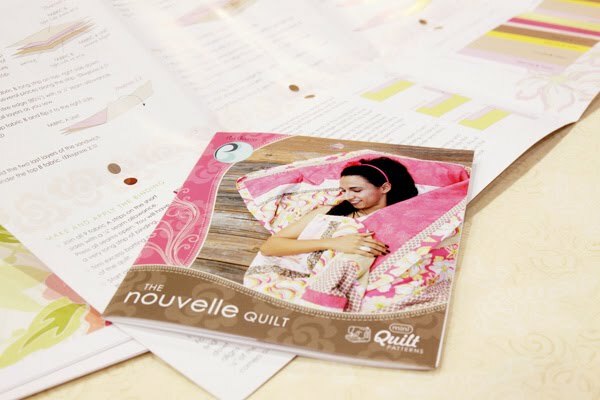 Even if I don't win I may have to try out the Nouvelle Quilt as you go pattern! My daughter wants to re-do her room and a new quilt with those beautiful fabrics would be a great way to start. I think I might now be in love....Oh help my heart. Thanks for hosting and telling us all about this. I will definitely be working with these whether I win or not. Those beautiful fabrics are so inspiring! Thanks for the giveaway! Those are gorgeous fabrics! I don't have any of her fabrics as I am a young quilter just starting out, and trying to learn the ropes! Crossing my fingers and good luck to everyone else!! I love her fabrics, they are so beautiful, I haven't made anything from any of them yet, but I would love to! I love Art Gallery fabrics! They're sold at my local quilt shop. Beautiful! Such beautiful fabric! Thanks for the great giveaway! All her fabrics are Amazingly LOVELY! Very awesome giveaway! Thanks for the opportunity! These fabulous fabrics are "new to me", I'm going to be keeping my eye out for them. Love the fabrics, love the patterns! Would love to win! What lovely fabrics. I hope I have the chance to make something with them! Yipieee! I love Pat´s fabrics! Unfortunately they are not easy to get in germany. They're sooo pretty! Would love a chance! Happy New Year and thank you to Pat and you for a wonderful giveaway. Love the patterns and fabrics! Wow, I hadn't heard of these before. Now I definitely need to go check it out. Got a good sourcce on where to find them? What gorgeous fabrics!! Would love a chance to work with those. And the patterns - beautiful! What a generous giveaway!! Haven't had a chance to work with these fab fabrics yet, but I would love to! Thanks for the chance. I keep looking at Pat's fabrics online, but I haven't had a chance to enjoy in person yet. This is a great opportunity. Thx for letting us have it. Looks like the kind of fabric I like! I'd love to win them! I havn't had a chance to work with this fantastic fabric before.. it is SEW BEEutiful.. i would love a chance to win.. oooh how special! I don't have a picture, but I'm in the process of making Pat's Essential Tote with Modern Affair prints. The impending snow storm should give me plenty of time to finish it. I love Pat's fabrics!!! Thanks to both of you for the chance to win some!! 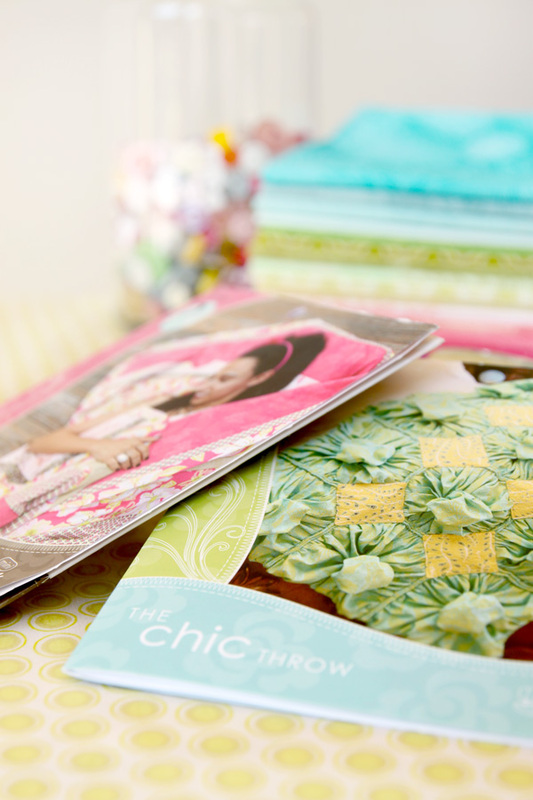 I would love a chance to win some of those gorgeous fabrics! My stash is looking kinda 'thin' lately, and these would be a great addition! I love the bright green and the turquoise in there! I have not had the pleasure of working with her fabrics yet, but that bundle of rainbow candy goodness looks fantastic! I've made a sling and burp cloths (http://www.marriedtoabmw.com/2010/08/two-baby-boys.html) and a purse (http://www.marriedtoabmw.com/2010/11/sunday-sewing.html)! Love her stuff! Lovely, lovely fabrics. I am crushing on them now too. Oh, this is again great fabric! I didn't know Pat, so I am very glad you introduced her!Would love to win! Oh, such lovely colors! I haven't yet worked with Pat's fabrics or patterns, but winning these sure would cheer up a grey winter! Oh Oh..... I will keep my fingers crossed-- the fabrics are AMAZING. Thanks for the awesome chance to win them. Great fabrics, am becoming a real fan of Pat Bravo. Thanks for the giveaway. Thanks for the giveaway. It's springy and not white like the world around me right now. Love those colors! I haven't had a chance to work with her fabrics yet, but they sure are pretty! Thanks so much for the giveaway opportunity! Those colors are gorgeous-- perfect for spring!!! I haven't made anything with Pat's fabrics, but that selection at the top of your post is just beautiful! I'll have to check my lqs to see if they carry that line! I love the "Chic throw" pattern! Super cute! Thanks for showcasing such an amazing artist! I actually just made something with the fabrics! It was for a flickr swap where her kitchen was black, natural and lime green. 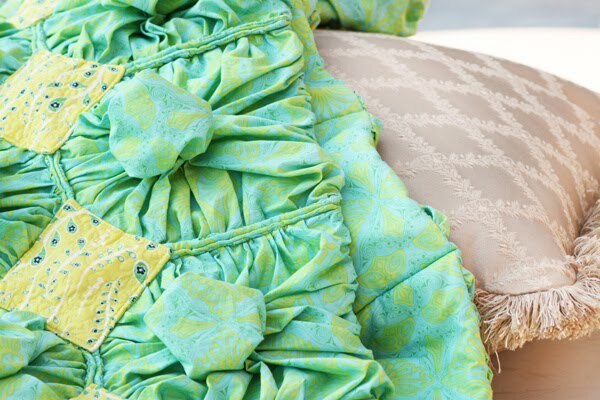 Her fabrics fit perfect for the green! Thanks! Lovely patterns and fabric! So light and fresh fabric. Beautiful fabrics!!! Thanks for the chance to enter! Sign me up! I really like this line. Had not heard of her before so thanks for the intro to these fabulous fabrics! I'm loving modern affair and am hoping to get some soon! I haven't had the chance to work with Pat's fabrics or patterns yet but I sure would love to! The fabrics look gorgeous, love the colours! Thanks for the chance to win! I love Pat's fabric but have not made anything with it yet. What beautiful fabrics! Thank you Pat and John! New fan of Pat's would love one of the lovely prizes! Wow, her fabrics are really pretty. I am off to check out all on the links in your post. That is very nice of both her and you of doing a give away. Oh this is wonderful! I am working with "Nature Elements" in Mimosa in a crib skirt for a dear friend. It has an amazing "hand". I just love the quality and would love to win one of these prizes! These fabrics are my daughter's favorite colors and she's ready to learn to quilt. What perfect inspiration! What a lovely giveaway! I haven't yet had the pleasure of working with Pat's fabrics or patterns but I hope to change that soon! I love her fabric and have some for a quilt I am currently working on. What a great giveaway!! I have made a baby quilt out of her fabrics. I need to quilt it and bind it!! It made a gorgeous quilt. Love her fabric!! wow beautiful fabric, thanks for introducing me to her line, if I don't win I will defiantly have to pick some up. Those fabrics are beautiful! Thanks for sharing them! I love these fabrics as much as you do!! Would love to have some of my very own!! I''s love a chance to win too please, what lovely things. Those colors are gorgeous and I know my twins would love to have something wonderful for their room. What bright and cheery fabric....perfect for this time of year! Thanks for the giveaway!! New to quilting, haven't worked with her fabric yet. However its right up my bright ally! Lovely fabrics! I don't think I have seen them before, but they look great. I drooled over a large selection of Art Gallery fabrics at my local quilt shop just recently. I haven't worked with any yet though. Thanks for hosting this giveaway! Oh my goodness, what a great giveaway! throw my name in the mix, please sir. I never worked with her fabric nor with her patterns. Now her name, that's all. 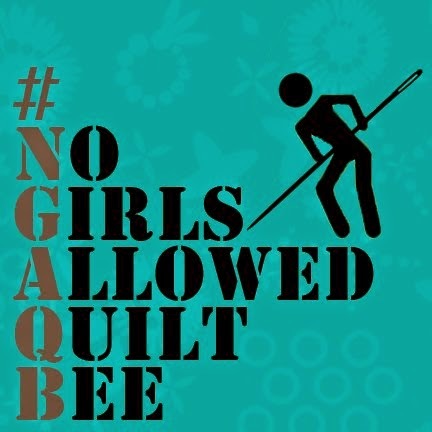 But I am quite new in the quilt community!!!!! I love the bright colors! They can definitely ward away the winter blues. How have I never seen these fabrics before? I LOVE them! Even better, they look like something my husband would like too. Love all the orange! I'd be so excited to win! 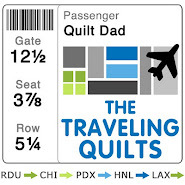 Thanks, QuiltDad! I've been enamored of Pat Bravo's fabrics for a while now, but I'm on a strict fabric buying diet until I finish off the UFOs in my sewing room. I hope I win.....just took up quilting and need all the help I can get! i love the colours in those fabrics. they would be great for little girls' clothes. thank you for the chance of winning some. I don't have any Art Gallery fabric in my stash yet but I've been admiring the grays and oranges in Modern Affair too! Wow! This is a beautiful little rainbow! Thanks for a chance to win it! Great fabrics! Thanks for the chance to win! I would love to try these fabrics! 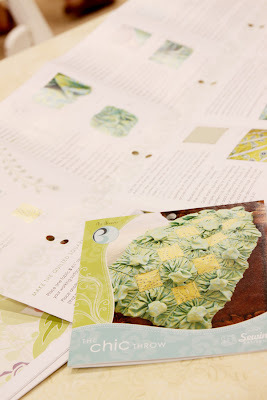 I have decided I will create a quilt this year and I would love to with these fabrics! Ok ok, I give up...I thought I didn't like orange. Beautiful fabrics and a great giveaway! What a fun giveaway to start the year. I have never worked with her fabric, but I would love to give it a try. Wow! I'm new to Pat's stuff. I LOVE them! Man how I'd love to win so I could get my hands on this fabric! Beautiful. I love the fabric and would be so excited to win. I just tried to post but it didn't work. Hope I'm successful now. I haven't tried any of her fabrics yet - would love to! Thanks for the giveaway! I've never seen Pat's fabrics before so I'm so glad I had the opportunity. The colors in her fabric is beautiful! Hoping Mr. Random picks me. Those are fantastic fabrics. Just ordered some Modern Affair! Can't wait to use it! I love the chic throw! so pretty! I love Art Gallery fabrics! The patterns are gorgeous, and it has such a lovely hand, too! Beautiful colors, count me in! This is the first I've heard of this line, but I will definitely look for them in the future. I love Art Gallery Fabrics! I am feeling lucky! Love it! Such beautiful fabrics and great patterns. :) Thanks for the chance to see these in person! Thanks for the great giveaway! I love the fabrics. I haven't heard of her line. Thanks for opening my eyes to it! I haven't had the pleasure of working with these fabrics but I am in love after seeing all your pictures! I would be so happy to cut into those fun colors. What an exciting giveaway! 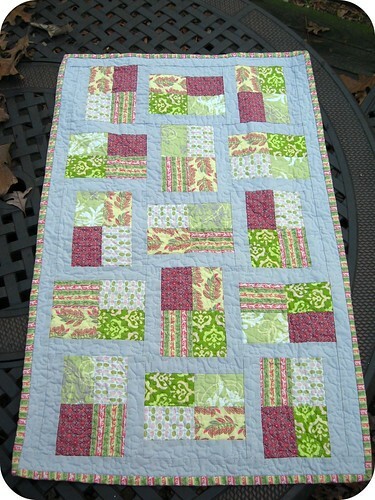 I used Pat Bravo's girly girl fabric for one of my first "real" quilts, see here http://naechic.blogspot.com/2010/06/up-for-challenge-baby-quilts.html. I certainly am keeping my fingers crossed that I'll get to enjoy some more of Pat's beautiful fabric! Just love working with it. Oh, and my birthday just happens to be on the 18th, but no pressure!!! lol Wouldn't it be a great bday gift though :) Thanks for hosting! I've never worked with these beautiful fabrics before, but I'd sure like to! Please throw my name in the hat for this wonderful giveaway! I love Pat Bravo's fabric and patterns! (I'm lusting over the Milano bag.) And three chance for her stuff? Awesome! Thanks for the giveaway and sharing about Pat Bravo. These would be great to win and work with! Thanks for the opportunity! i haven't made anything yet, but have been collecting some of her newest line for a new quilt pattern i am working on. thanks for hosting her wonderful give away. Thanks John and Pat. This fabric is beautiful! This is fantastic! Thanks for the chance to win. I love every one of those fabrics and would be so excited to win! Thanks for the opportunity! ooooh! Those are some nice fabrics! Thanks for the giveaway! I haven't made anything with Pat Bravo's stuff yet, but I did just buy her Verona Bag pattern, and I can't wait to try it. Those fabrics are absolutely gorgeous! I love the patterns, and would love to win these :) I've not worked with Pat Bravo's stuff, but would definitely start now! How on earth Pat and her company come up with so many beautiful designs and colorstories baffles me. Each line they release is just perfection. Would love to get my hands on some Art Gallery goodies. Thanks for the giveaway! Thank you for the intro to a new designer. I'd love to win some of her patters/fabric!